Menchie's is the brainchild of Danna and Adam, whose passion and love for creating the perfect frozen yogurt quickly transformed into the ultimate fro-yo lover's paradise. Other ice cream and frozen yogurt stores offer a limited amount of choices and charge customers for every flavor or topping they ordered. Menchie's customers are able to serve themselves the perfect yogurt mix by choosing from a wide variety of delicious flavors, and more than 40 toppings with everything from chocolates, candies, and hot fudge, to granola and fresh seasonal fruit. We have got a rotating selection of eclectic frozen yogurt flavors and every topping under the sun. From fresh, locally grown fruits to classic rainbow sprinkles and hot fudge, even we can not decide what to mix up first. But that is the best part. We do not decide, you do! Mix up as many flavors and toppings as your little heart desires. At Menchie's, you pay by weight not by topping so you can have as much or as little of everything you want. It’s simple as can be. Your Menchies Support Team will be with you during every step of development! We provide you with guidance and consultat'ion during site selection, in addition to assistance during each phase of construction. 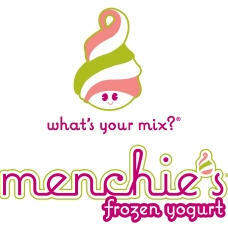 Onsite training will occur both at our Corporate Headquarters in Los Angeles, as well as your own Menchie's location. You will receive detailed operations manuals, and our Support Team will help train your staff pre-opening. Even after your store is open, you will continue to receive marketing support, as well as ongoing operational and training support.